Oh, William Arthur. This was one of the easiest experiences of our wedding planning. The day we received our bright blue boxes filled with our invites was so uplifting. It seemed all the planning was finally coming together! 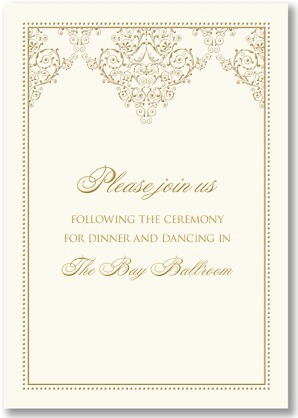 We had the above damask design customized and they turned out beautifully. We opted for the thermography option, which is basically raised printing. It gave them texture and an extra touch of personality. 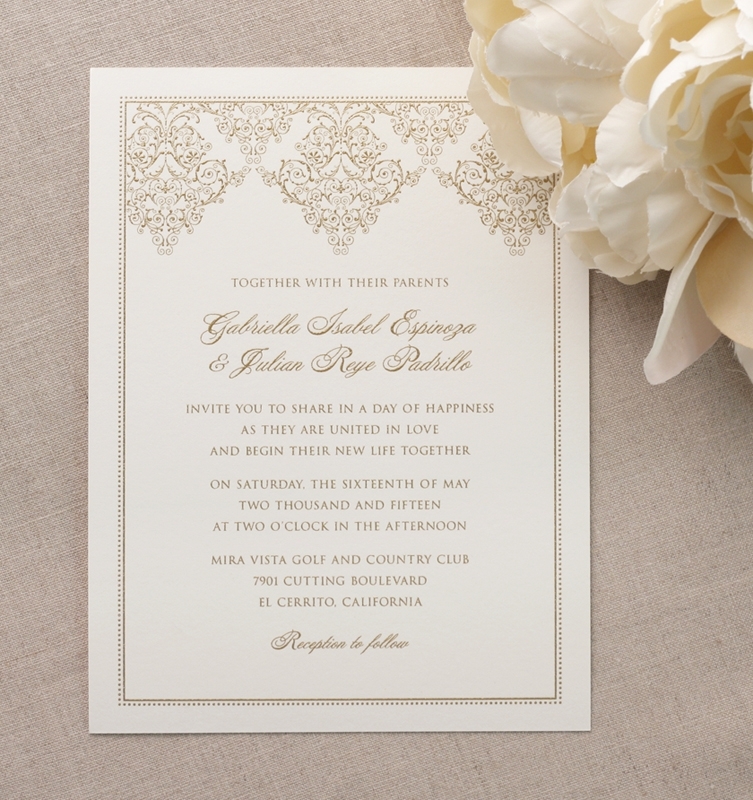 Each invitation style offers coordinating reply cards. We customized ours to be invites to the luncheon. Finally, we found a local calligraphy company that was able to match the cursive font and personalize each of the invitations. This was my only “no negotiation” request for my invitations and it was worth it! Definitely check out William Arthur if you’re looking for invites or even personal stationery–you won’t be disappointed!